You are here: Home / Subject / Consumer Engagement / Is your DMO delivering a little extra to make a big difference? In the late 1800s, deep in the bayou of Louisiana in the United States, a tradition was born that still exists to this day on the soulful streets of New Orleans. In the bustling southern city, merchants began to add a little extra to a customer’s purchase; a piece of licorice here, or an extra roll in the dozen there. As this tradition developed amid a blending of Spanish and French languages, it even got its own word. Thus, the lagniappe was born. a small gift given with a purchase to a customer, by way of compliment or for good measure; bonus. The lagniappe idea is simple: it doesn’t take much to make someone’s visit memorable. Now, fast forward more than 150 years. In the digital age, it still doesn’t take much to give a little extra and make someone feel special and welcomed. For DMOs like Tourism and Events Queensland (TEQ), their lagniappe is simply a genuine interaction. 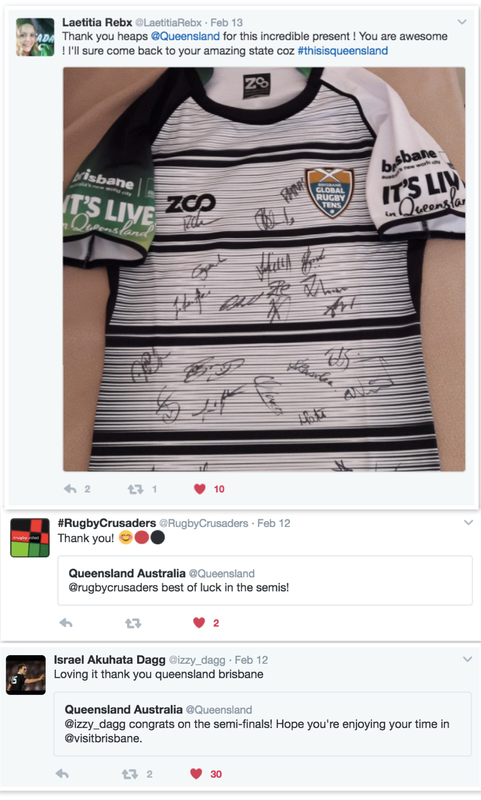 During the recent Brisbane Global Rugby Tens, a two-day rugby event held in the Australian state of Queensland, TEQ offered warm welcomes to the teams and players competing in the competition. TEQ uses this approach on a regular basis. In past campaigns TEQ has employed “surprise and delight” tactics that discover in-market travellers online and then add something special to their trip. While many brands and businesses initiate engagement with the purpose of getting something in return (perhaps a photo, a follow, or a click), it’s important for DMOs to make visitor servicing their top priority. Sometimes, that simply means a casual welcome on Instagram, or an offer to answer any questions on Twitter. After all, it doesn’t take much to make someone’s visit memorable – just a little something extra. So ask yourself this question. Is your DMO delivering any lagniappes?